Nicole Kidman wore this adorable, curly updo at Agon Channel launch party. Her h..
Nicole Kidman wore this adorable, curly updo at Agon Channel launch party. Her hair is parted in the middle and curled with curling iron. This hairstyle requires volume amplifying on the crown section, so her hair was teased and her curls are pinned at the back of her head. Her long bangs are slightly curled and loose on the sides. After all those daring hairstyles, we lived long enough to see Nicki Minaj opting..
After all those daring hairstyles, we lived long enough to see Nicki Minaj opting for classic and that is – wearing vintage, side swept curls. When it comes to Nicki, we can get used to on these neat, classy and glamurous styles very easy. She looks equally amazing in both versions. One thig is certain as the night turns into day: big, long hair will never be pass..
One thig is certain as the night turns into day: big, long hair will never be passé. 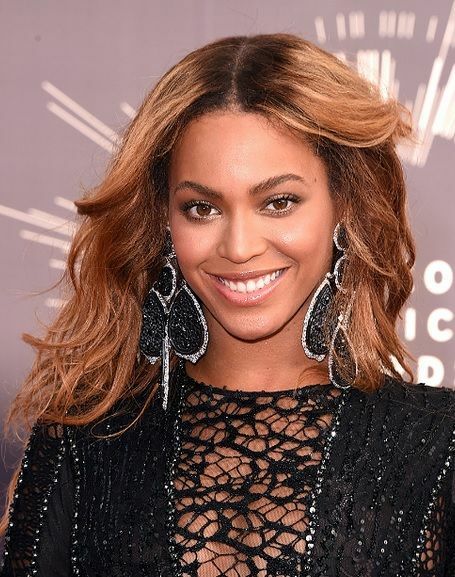 Beyonce opted for glamorous middle parted, long, wavy hairstyle at VMA 2014. When you are in need to copy her style, give your hair a good blow dry for volume and add large hot rollers for 15min. Rolling direction should be from the face toward back of your head. Apply hairspray to hold your waves in place. Well hello 90’s and teasing the side swept bangs! Kate Upton sure channels the b.. 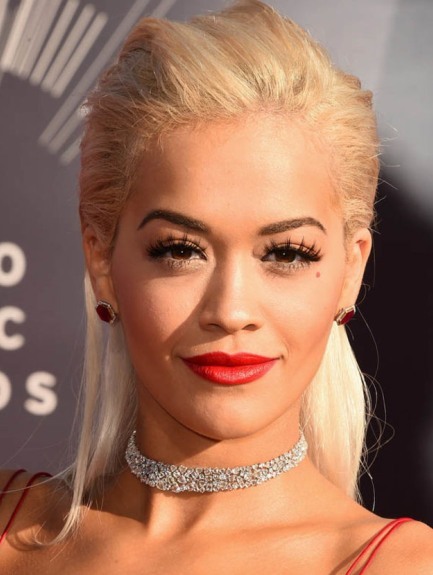 Prefer hair creme over mousse to keep your ‘do at place. Apply small amount between your palms and rub it on dump hair. Blow dry your hair with large, round brush. Tease your bangs and one more 2” section behind them. Pull them back and smooth with paddle brush. Remember that zero trace of teasing is allowed, so make it invisible. 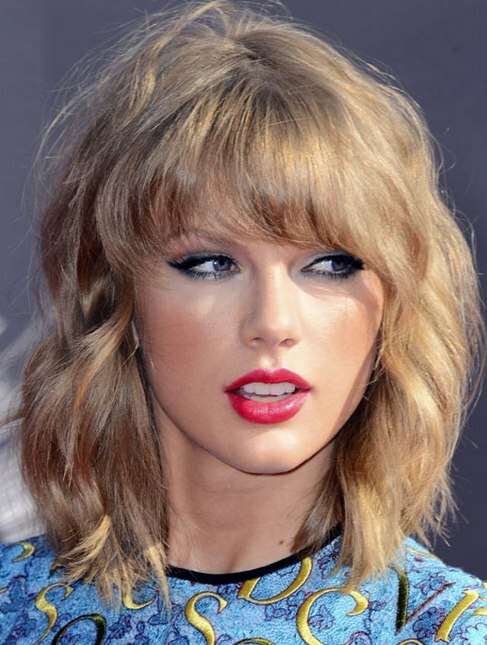 Curl your bangs and few more thin side sections with large barrel curling iron. Set your hair to the place with your fingers. Avoid comb and brush at this stage.